I tried Starbucks' Molten Chocolate Latte, Molten Hot Chocolate and Molten Chocolate Frappuccino all together, and this is a Molten Hot Chocolate review. As I mentioned, Molten Hot Chocolate and Latte looked almost the same. Left is Hot Chocolate and right is Latte. 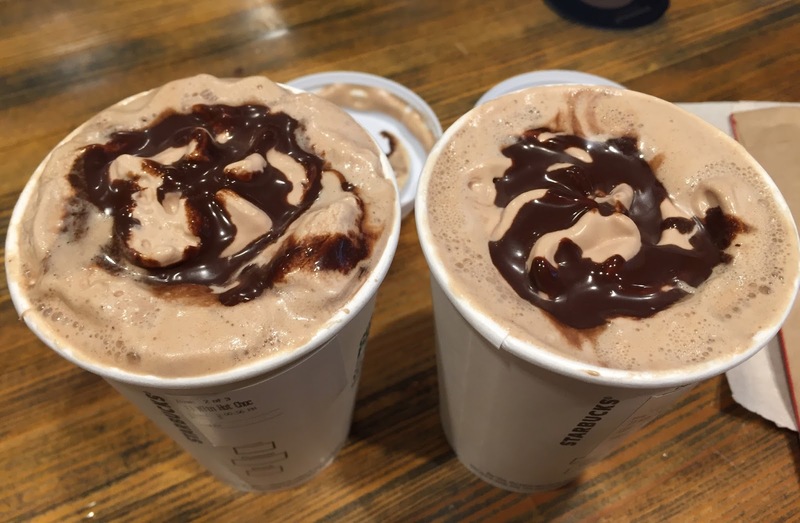 It's said bittersweet mocha sauce and chocolatey chips melted into steamed milk, and mocha and espresso-infused whipped cream and espresso mocha drizzle on the top. When I sipped, I had to look at the label because it's quite bitter and didn't taste sweet at all but bitter. Same as Latte, mocha sauce in the steamed milk and the coffee infused toppings were overpowering the goodness of the sweet and classic hot chocolate though I mixed the contents well. I imagine sweet beverage when I hear hot chocolate, yet this was "almost latte" and I was disappointed. 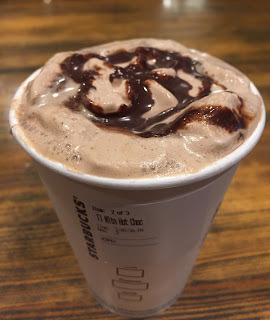 Items I reviewed from Starbucks in the states and other countries. Teavana "Shaken Iced Mango Black Tea Lemonade"